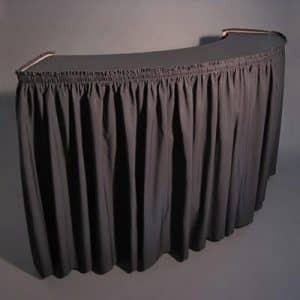 We rent linens, tablecloths and skirts. Please CALL for sizes and rates. 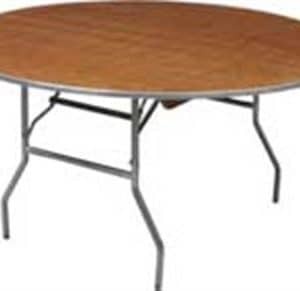 Are you hosting an event in Channahon, Joliet, or Morris, Illinois and in charge of setting everything up? 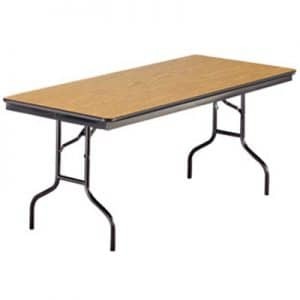 Don’t bother purchasing a bunch of tables that you won’t ever use again just for your next event. 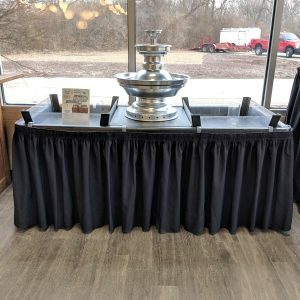 No matter if you’re hosting a banquet, graduation party, or company conference, we provide you with well maintained, aesthetically pleasing tables of many sizes and shapes. 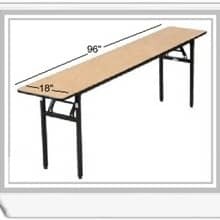 All of our tables are available for competitive, daily rates as long as you need them. 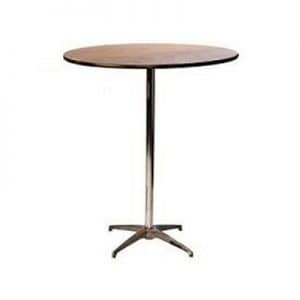 Some of the tables we carry are traditional banquet tables in various sizes, serpentine bars, and round cocktail tables in two sizes. 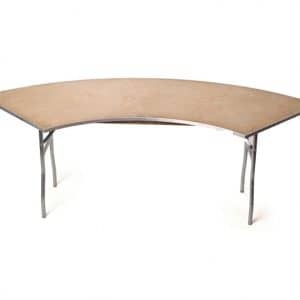 Our varied roster means you’ll find just the table you need, no matter what kind of event you’re hosting. 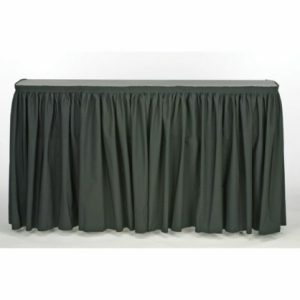 In addition to our selection of tables, we also rent linens, tablecloths, and skirts. With seventeen years of experience helping our customers make their events the best they can, there’s no need for you to look anywhere else.